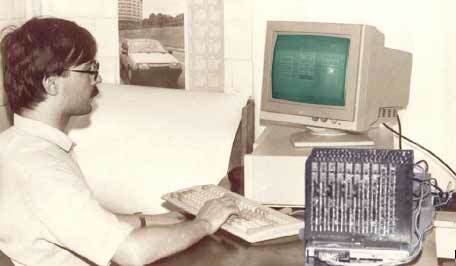 First in the USSR neurocomputer developed in 1988-1989 based on ensemble stochastic neuronetwork ideology. Project manager E.Kussul. Department of N.Amosov. First model of neurocomputer (1989) built on the national element base and looked like personal computer annex.